Feed your chocolate cravings this Saturday during the annual Chocolate Walk. 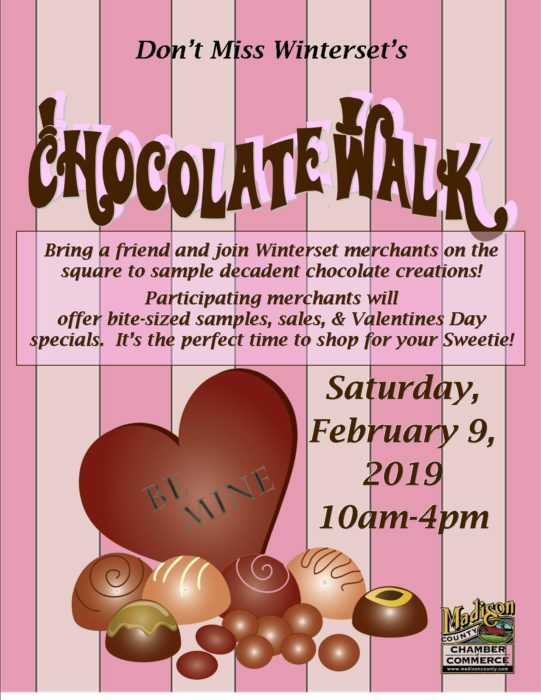 Take a spin around the downtown square to sample chocolate treats and visit our local merchants, many of whom will have some sweet shopping specials to go along with the chocolate! You’re invited to the Iowa Quilt Museum for a reception celebrating the opening of their latest exhibit. 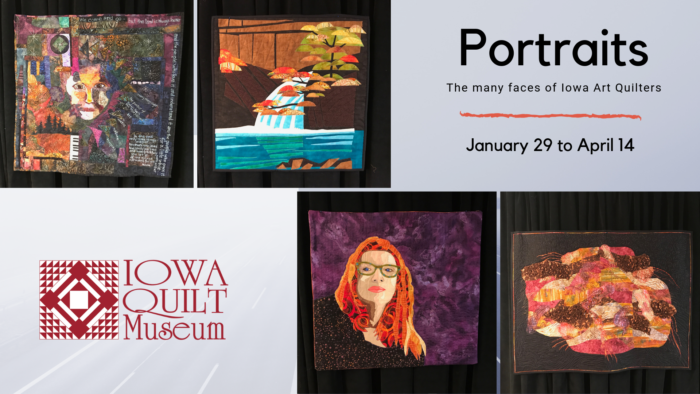 This exhibit, titled Portraits: The Many Faces of Iowa Art Quilters, has an unprecedented 80+ quilts in it. Art quilts are made to be wall-hangings instead of being used so they’re much smaller in size. This exhibit features the work of nineteen Iowa artists. Each artist has created a fiber self-portrait and is displaying other quilts that are representative of their artistic journey. The reception is free and open to the public and many of the featured artists will be in attendance and available to visit about their work. 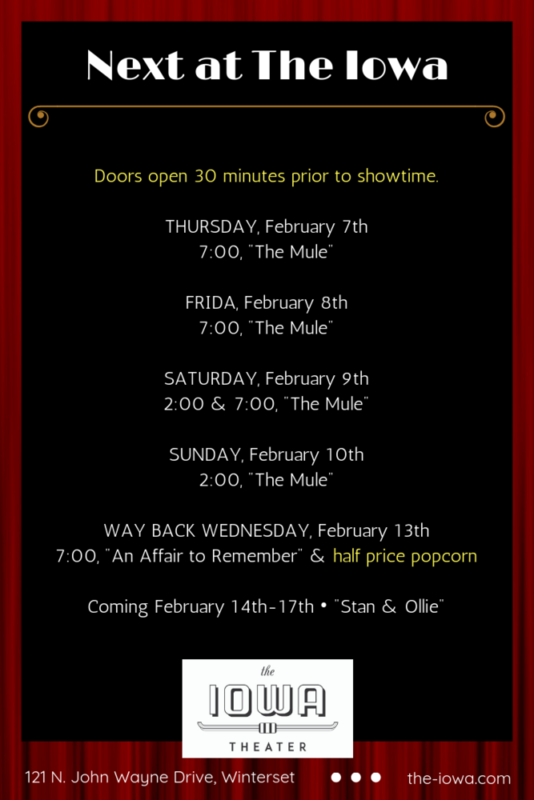 Celebrate Valentine’s Day Eve at the Wayback Wednesday Showing of An Affair to Remember starring Cary Grant & Deborah Kerr. In addition to half price popcorn (every Wednesday), enjoy half price wine and beer and make it a date night! 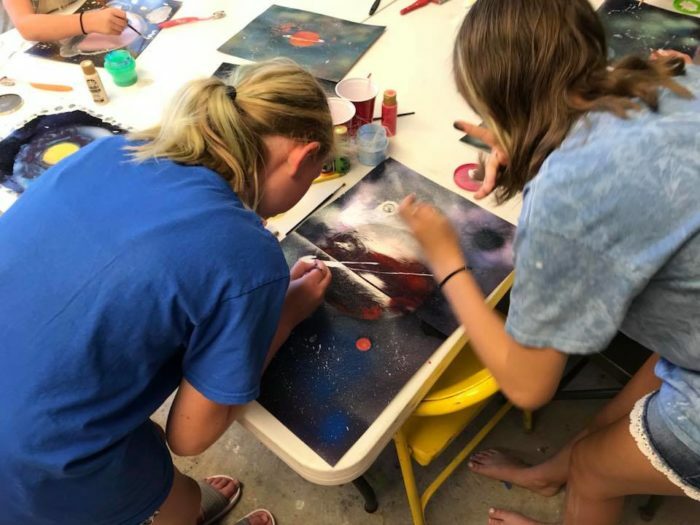 The Sunday Crafternoon series continues this weekend with Madhaüs Gallery at Covered Bridges Winery. The project is timely to the upcoming holiday: Painting with Chocolate. Students will learn how to create a ‘reverse’ painting using different types of chocolate and pigments to create a special edible Valentine for that special someone. Cost is $35 per person. Purchase tickets in advance using THIS LINK. Beverages and snacks are available for purchase while you create your masterpiece. 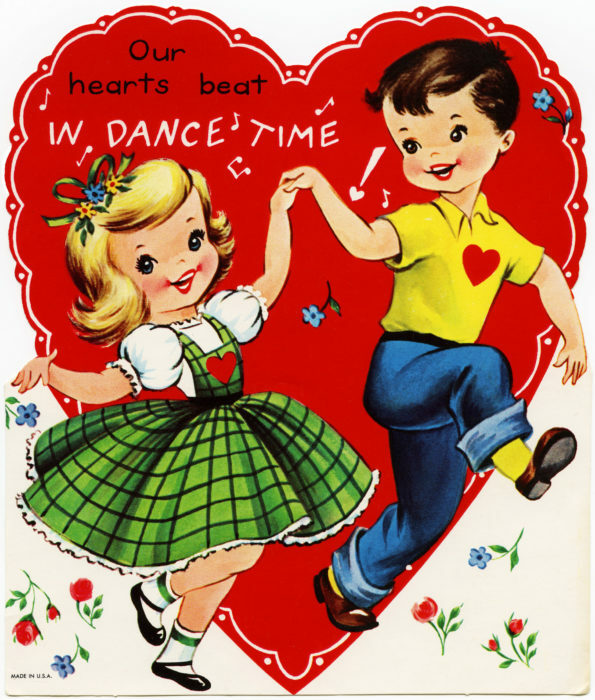 Join the Knights of Columbus at their Valentine’s Day Dinner & Dance, Saturday February 16th at Knotty Pine Venue just north of town on Highway 169. A great DJ, cash bar and scrumptious food will add some fun to your special night. Tickets are $40 each and available from the Knights of Columbus after Mass at St. Joseph’s Catholic Church and at Union State Bank. Net proceeds will be donated to the St. Joseph Compassion Fund. Don’t let the fun stop with the dinner and dance, take a chance and buy a $100 RAFFLE TICKET. 50% of the raffle ticket sales will be paid back in cash to numerous winners Saturday evening, (although you do NOT need to be present to win), and 50% will be donated to the St. Joseph Compassion Fund. Buy multiple tickets and you may win more than once!! Quilters, take notice! 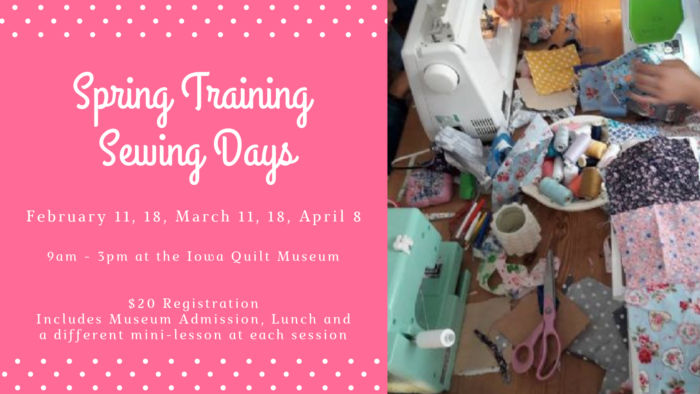 The Iowa Quilt Museum is offering a series of Spring Training Sewing Days and the first is happening on Monday, February 11th. Take your current project and supplies, they’ll provide the space and you can get to work surrounded by friends, encouragement, and inspiring quilts. Your $20 registration includes lunch, a guided mini-lesson at some point during the work day, and also helps support the IQM. The mini-lesson topic on Monday, February 11th, is an introduction to paper-piecing led by master quilter and teacher Jean Nolte. February is prime time for owl calling. Members of our resident owl populations become very vocal as they search for mates. Madison County Conservation is hosting an Owl Prowl on Tuesday, February 12th. The evening will begin at the Nature Center in Pammel Park with an interpretive program presented by wildlife rehabilitator Beth Brown. 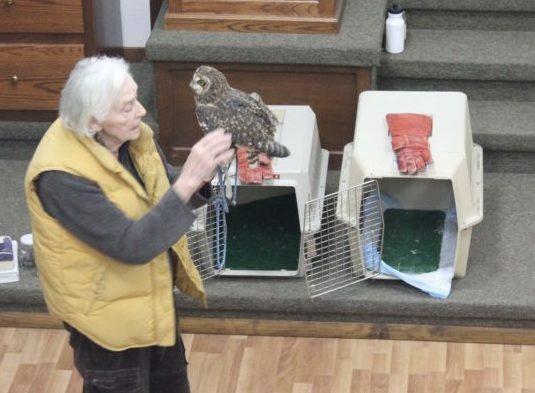 Beth has spent many years working with injured birds including raptors such as owls, hawks, and vultures. After Beth’s program, the program will head outside for a night hike through Pammel Park to try to chat with the park’s resident Barred Owls. An electronic caller will be used to entice the owls to come in for a closer look and anyone skilled in owl calling is welcome to try their own vocalizations during the hike. This program is free and open to people of all ages. 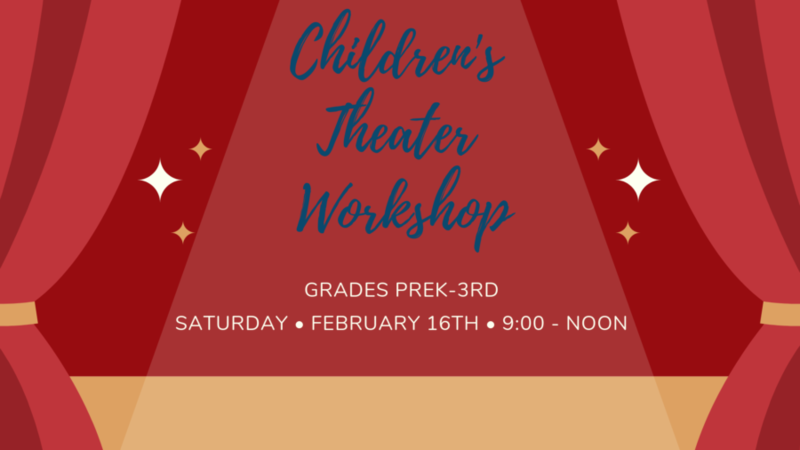 Although this will definitely be a program the children will not want to miss, you do not need to bring a child to attend this program. Pre-registration is preferred, however walk-ins are welcome. Online registration is available at THIS LINK. Just Because – tell someone they are awesome with your personal touch. 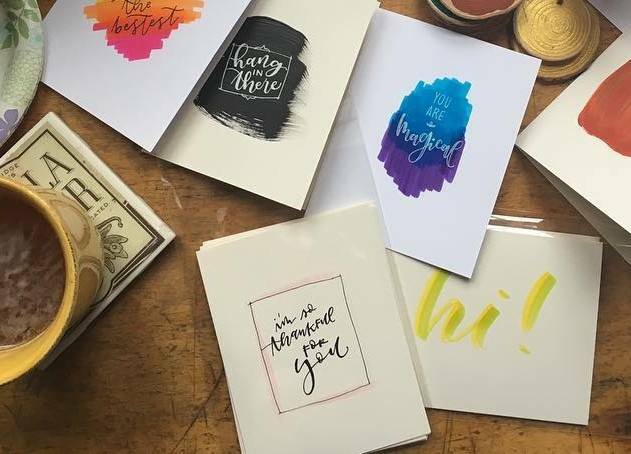 Jess Lundquist with Ink & Flourish will bring her talent back to the Winterset Art center to guide us through the basics of calligraphy. Together, each adult & child will create “Just because” cards. Bring someone special and make some memories to go with your cards. Members $50 / Non members $55.50. Recommended for children 9+ with an adult. Students will take home: practice workbook, brush pen, three cards with envelopes. Minimum 8 participants / Maximum 16 participants. Register HERE, cut off date is February 14th. In case of inclement weather the class will be held the following week, February 23rd. For children grades 5 -9 who are curious about the versatility of clay. 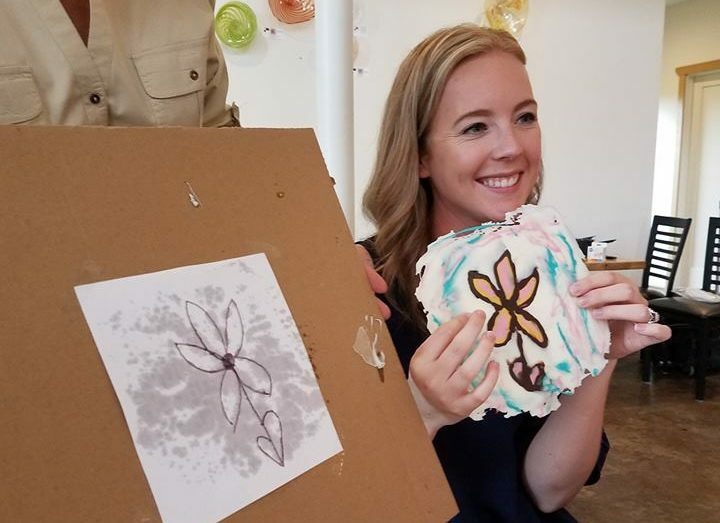 Creating with Clay is an introductory 2 session workshop guided by Bree Daggett. Students will be introduced to the potters wheel, hand building, slab rolling and glazing. 1st session will focus on creating a hand build a piece to be fired and ready to glaze the 2nd session. 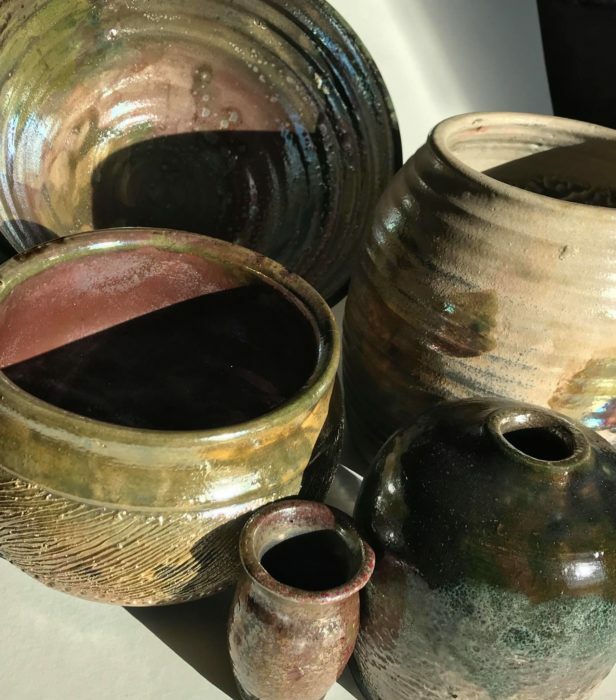 Both sessions will provide the opportunity for the student to try their hand at the potters wheel. Registration Fee: Member $21.00 Non Member $24.00 Class size is limited. Confirm your space by registering online. Hey parents this is a reminder — No School February 18th, a good day to let the kids sleep in then bring them to the art center in the afternoon. Because it will be a great day to meet up with friends and create NO CELL PHONE SELFIES. Ages 9+ will create a water color self portrait to compare with their data driven self portrait. Class fee: $10.50 members – $12.00 non members. Save your seat by registering online today. 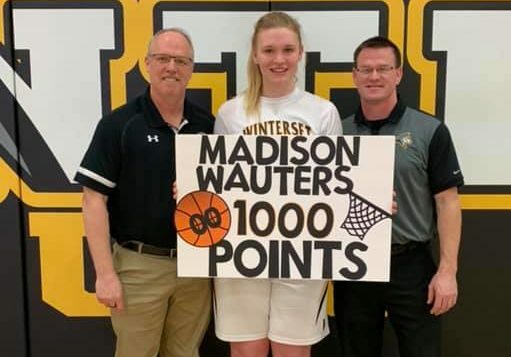 WHS Basketball player Madison Wauters just joined the 1000 point club making her the third player to do so this season! Way to go, Madison!